Home : Announcements : Why Can’t I Drink Green Tea Before Having Surgery? Interact negatively with anesthesia and other medications. The compounds in green tea can react with certain medications, causing problems such as accelerated heart rate and dangerous blood pressure increases. In fact, you can never be fully certain how a health supplement might affect your surgery or healing, which is why it’s so important to talk to your surgeon about any supplements or medicinal foods that are part of your health routine. Influence behavior of other medications. 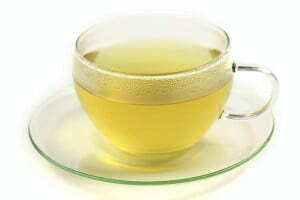 Green tea may reduce or overstimulate the efficacy of certain medications. For instance, green tea puts moderate stress on the liver, so combining it with other medications with a similar effect, such as high doses of acetaminophen, can have dangerous results. Affect your body’s ability to heal from surgery. Green tea has been shown to slow blood clotting, which can introduce complications during a surgical procedure and increase your risk of losing too much blood. Slow clotting can also increase the chances of having postoperative complications and lengthen your healing time. Green tea isn’t the only culprit. Several widely encouraged vitamins and healthy supplements can be harmful if taken less than a week before surgery. A range of anti-inflammatories should be avoided because they can slow healing of the internal and external sutures commonly associated with cosmetic procedures. Vitamin E can cause excessive bleeding, which can significantly interfere with healing. Vitamin C can delay closing of the blood vessels, which can complicate surgery. Multivitamins should also be discontinued due to their high levels of vitamins E and C.
In addition to vitamins C and E, patients are encouraged to stop taking vitamins K, B, and all herbal supplements. Any weight loss or fat burning supplements should be avoided for at least two weeks before surgery. Fish oil capsules and fish high in Omega 3’s can increase bleeding; conversely, lean red meat counteracts blood thinning. Alcohol, caffeine, aspartame, and MSG should all be avoided leading up to a procedure. Refrain from taking blood thinners, such as aspirin and nonsteroidal anti-inflammatory drugs. It’s also important to carefully consider what to eat when you’re healing. Easy to digest, protein-rich foods are perfect for the first several days after your procedure. Throw some avocados and berries into the blender for a great post-op smoothie that packs a healing punch with monounsaturated fats and anti-inflammatories. Stay away from saturated fats, trans-fats, and refined sugars to further promote proper healing. Surgical dietary recommendations differ from the standard nutritional advice we hear and read for good reason. It’s critical to follow both pre- and post-surgery rules and to communicate openly with your surgical staff for smooth sailing during surgery and optimal healing afterwards. We like to work closely with our patients to ensure safe and successful outcomes. We’re happy to provide you with clear, easy to follow nutritional guidelines as you get ready for and recover from surgery. Contact us today to learn more about our services or to schedule a consultation. 4 Responses to "Why Can’t I Drink Green Tea Before Having Surgery?" Very very interesting. I drink a lot of green tea. First article I’ve found that actually answered my question about green tea and surgery. I’ve been doing a lot of searching but nothing answered my actual question until now. Thanks! I’ve been searching the internet for an answer to why no green tea before surgery. Thanks for answering it! Many thanks for the excellent post, I was looking for specifics like this, visiting look at the other blog posts.